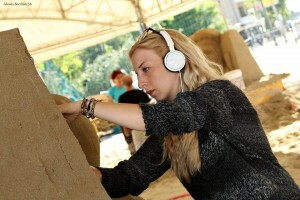 Since 2012 I have been lucky enough to have fallen into the world of sand sculpting. I began carving in Weston Super Mare at the Weston Sand Sculpture Festival and since then have been all over the world sculpting in exhibitions and competitions. I love carving in sand because its such a interesting and challenging medium. The possibilities are only limited by your imagination. I’ve drawn ever since I could pick up a pencil. Having always loved animals I spent my childhood drawing them and pretending to be them. 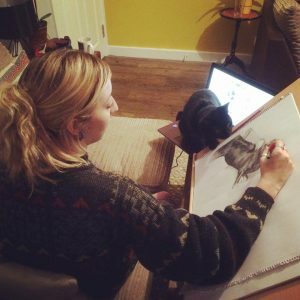 I’ve dropped the latter now but still spend half my time drawing pet portraits and wildlife art. Its such a contrast to my 3D work and I love the being able to switch between the two.